Our Incubator Kitchen grew out of the necessity of our community’s farmers market vendors and value-added food producers who were encountering problems securing commercial kitchen space. 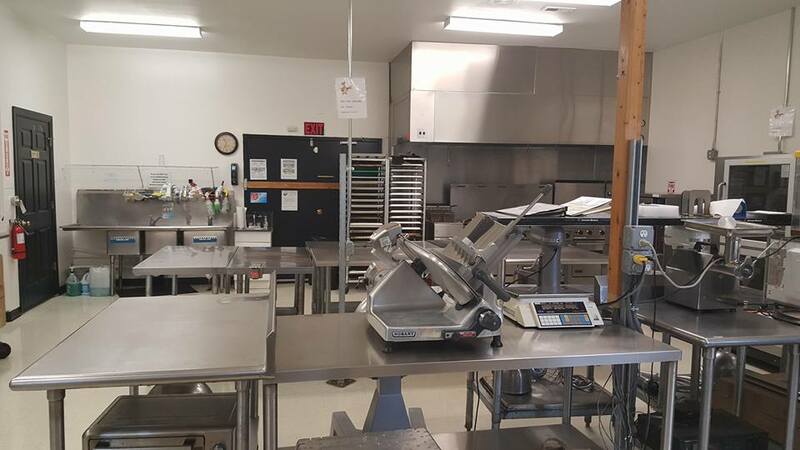 They needed a convenient and affordable kitchen that provided them with Health Department Certified space, as well as the services and support that were necessary for their businesses to flourish. Chiknegg’s Incubator Kitchen offers a mixture of traditional kitchen prep space for food entrepreneurs and classes for consumers. We are conveniently located about halfway between Richmond and Charlottesville, right off I-64. We will do everything we can to help you hatch your food business! 1. Complete both the Rental Application AND the Rental Agreement Forms using our secure online forms. The Rental Agreement Form contains all the Rules & Regs. 2. Pay your Application Fee. Select which category you fall into on the Fee Options page and pay the appropriate fee using our secure Fee Payment Form. 3. Pay your Security Deposit. Select which category you fall into on the Fee Options page and pay the appropriate Security Deposit using our secure Fee Payment Form. The Security Deposit covers any excess cleaning or damages to equipment due to misuse. It is fully refundable if, after inspection by the Kitchen Manager, the kitchen is found to be clean and in good order. You do not need to pay your Security Deposit until the Kitchen Manager has contacted you with approval of your application. However, the Security Deposit must be paid prior to use of kitchen. 4. Provide a Certificate of Insurance. All renters must provide the Kitchen Manager with a Certificate of Insurance (COI) listing Chiknegg Productions as an additional insured. See the Rules & Regs and Rental Agreement for details. 5. Provide VDH and/or VDACS Documentation. For caterers, personal chefs and food trucks, please email us an electronic copy of your Virginia Department of Health Certificate or fax to: 804-556-6428. For specialty food producers and/or bakers, please email us an electronic copy of your Virginia Department of Agriculture Inspection Report or fax to the number above. If you do not have the required VDH or VDACS documentation, please contact the Kitchen Manager, and we will assist you in securing the proper documentation. If you do not yet have your permit, we can assist you with your paperwork for a small fee. 6. User Orientation. Each user must schedule a time prior to their first rental time slot to go through a User Orientation. This generally takes 15-30 minutes. 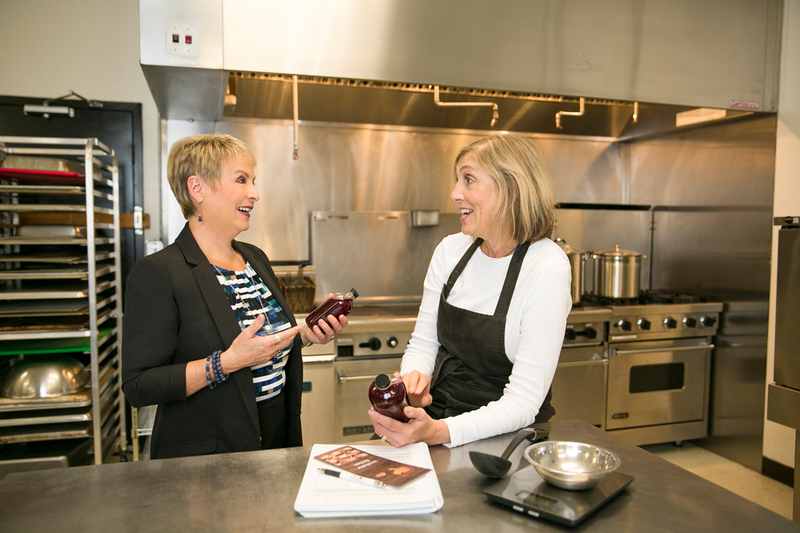 The Kitchen Manager provides a walk-through, equipment demonstration, clean-up procedures, VDH hand-outs and/or other pertinent materials, and answers questions. Call 804-314-9141 or email the Kitchen Manager to schedule your orientation. 7. Access Code. Once you have applied and been approved and followed all of the above steps, you will be emailed an Access Code for the front door. This code is unique to each user, and is only valid for the dates and times requested (and approved). Keep the code in a safe place – either print it out and carry it with you, or store it on your phone. To request a new Access Code, email us. 8. Create Your Food Corridor Account. We use The Food Corridor for our scheduling and billing. Once you’ve completed your Application and Agreement, we will create an account for you and send you instructions on how to complete your account on TFC. Once you’ve entered your credit card or bank draft information on TFC, you can use the software to request time in the kitchen. You will receive your invoice through TFC on the third of each month and will have two days to review it before you are billed on the fifth. “Chiknegg is the perfect place for new food businesses, as well as established ones, looking for clean, consistent and functional kitchen space. The level of organization and cleanliness exceeds most professional kitchens. That staff is friendly and supportive making it the ideal place for food production”.